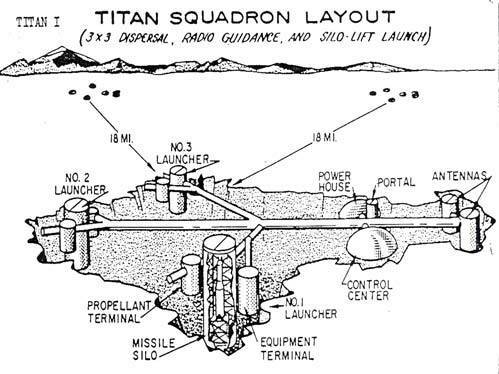 1955: The US government decides to build 18 missile silo bases for the newly developed Titan 1 missile. With a 6,000 mile range and capable of delivering a 3.75 megaton nuclear warhead, this was a powerful weapon. By design it was stored empty and so required 15 minutes to launch after fueling but nonetheless, over 50 of these missiles were built and stationed in sites all over the unites states. One such site happened to be located in Royal City, Washington. And so I found myself rumbling down a dirt road, through an abandoned scrapyard one Saturday morning, dive gear clanking in the backseat, and mentally preparing myself to descend into the only one of those eighteen missile silos to have become completely submerged since their decommission in 1963. Scuba diving is an inherently risky activity. Humans were not designed to live underwater, and our dependence on tanks, regulators and exposure protection highlights our incompatibility with the unforgiving underwater world. Typically recreational scuba divers are limited to diving within a 130ft depth range and in environments with free and unimpeded access to the surface. This reduces the risk slightly, as divers can immediately ascend to the surface upon an out-of-air emergency. Diving in a missile silo does not necessarily afford this luxury at all times, and though generally quite safe, there were occasions where direct access to the surface was simply not possible. Coupled with the mountain-spring-fed water temperatures as low as 38F (3C), the complete lack of natural light and depths in excess of 90ft, this was a dive that warranted some serious preparation. Make sure you have a strong primary dive light, a trust-worthy backup dive light, and a beacon to attach to your tank. Review the dive plan, mentally prepare yourself for the dive, and have a blast! So I found myself lowering my 32% EANx tanks down an emergency escape hatch into the subterranean passages of the missile silo. Only one piece of land wasn’t submerged, and after climbing down the escape hatch ladder, this was where we got setup in our dive gear, strapping tanks to our sides, lights to your hands and heads, and the sound of humans breathing through life support systems echoing through the dark passages of this subterranean military base. The missile silos were all designed in the same layout, three silos which housed the actual titan missile, spread out in a radial pattern, each with a supporting equipment room and a separate propellant room. In total there were 9 missile-related chambers, a control center, and barracks. The first dive would be in Silo 3, followed by equipment room 3, and finally Silo 2. Silo 3 had a long walk through half-flooded passages, but was otherwise uneventful. Stepping into the actual silo was incredibly ethereal, as you enter a cavernous room with 100ft of air above you culminating in huge concrete blast doors, and 100ft of silo below you flooded with groundwater. This would be what we would dive. As we descended below the surface of the water, everything became quiet and still, the water was clear and dark, and the only light penetration came from the our hand-held beams of light, illuminating the silo superstructure. In the interest of time and gas management we dropped straight down to the bottom of the silo, max depth 110ft, and began to work or way upwards. The blast deflector was at the bottom of the silo, and would redirect the rocket exhaust flames. Swimming through that was an incredible experience, and then spiraling up the silo, examining the light fixtures, missile attachment points, high voltage electrical stations and gantries made for an otherworldly dive experience. Dive 2 was arguably the more challenging of all three as it involved overhead environments. After swimming through a completely flooded tunnel, we emerged into a small pocket of air that would serve as the descent point into the flooded room. Descending here was strange, this was not an open tube but a flooded room with banks of electrical equipment, sub-rooms and debris left everywhere. We arrived at the silo at 10:00am and left at 3:00pm. 5 hours of diving in underwater passages and flooded missile silos, two dives greater than 100ft and three drysuit and nitrox dives. Not a bad way to spend a Sunday. I will definitely be back.